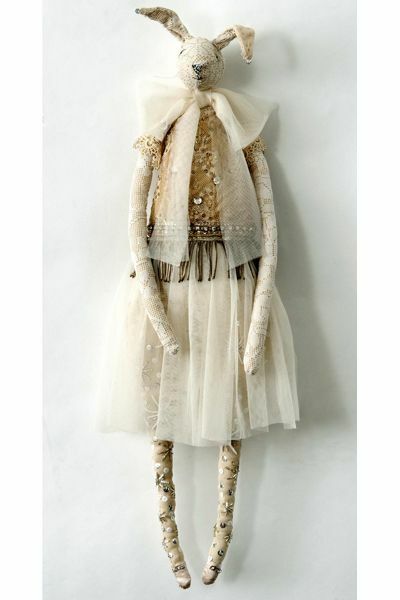 Discover the wonderland of Alice Mary Lynch and her handmade dolls. 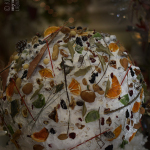 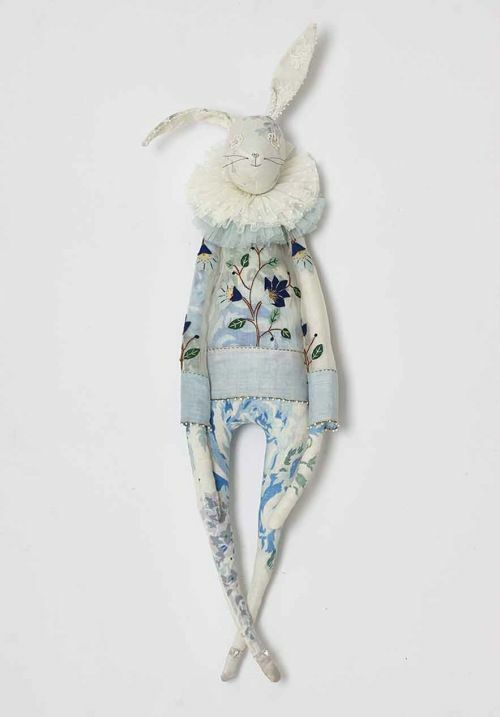 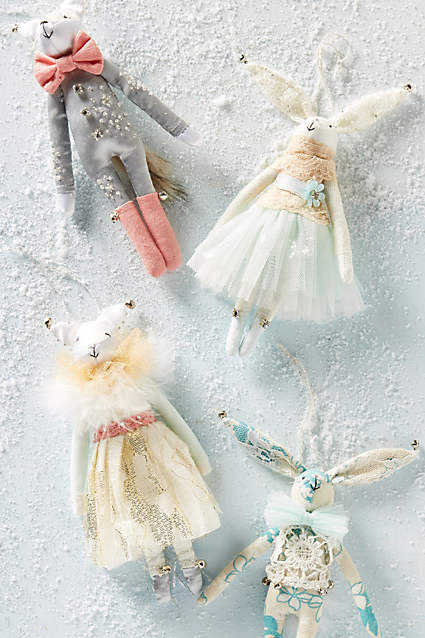 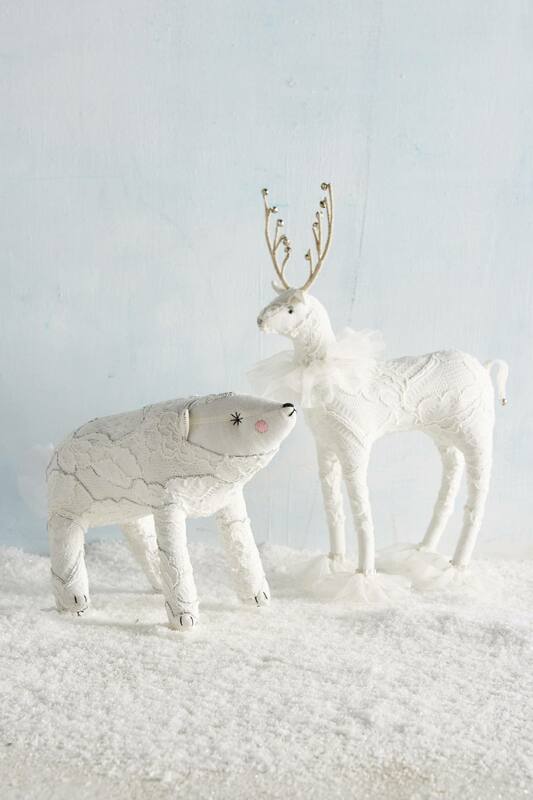 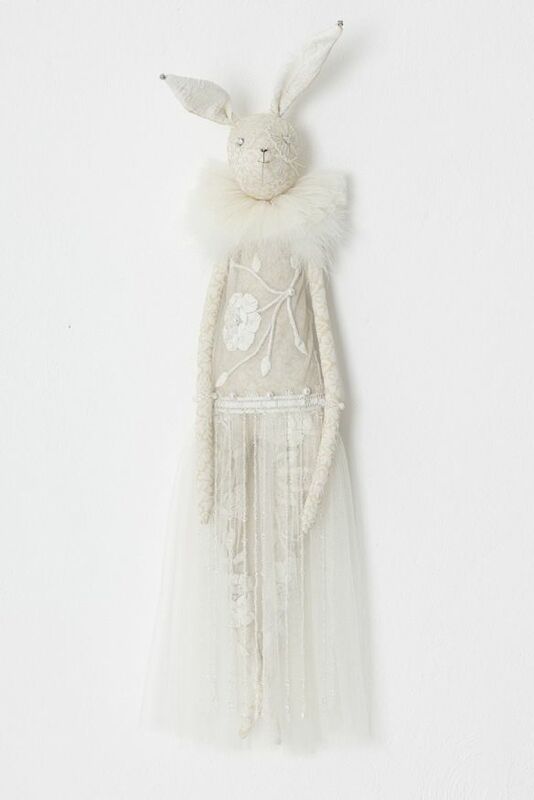 This Christmas season Alice has collaborated with Anthropologie creating decorations and toys. 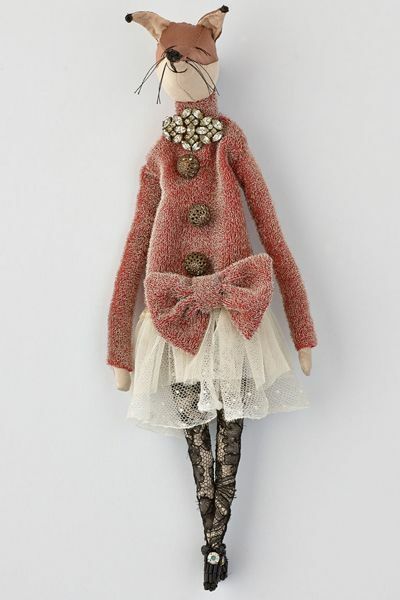 Her dolls are dreamy, tender and festive… “dolled up” in a romantic, unexpected and whimsical way very much as if they came out from the “Alice in the Wonderland” tale. 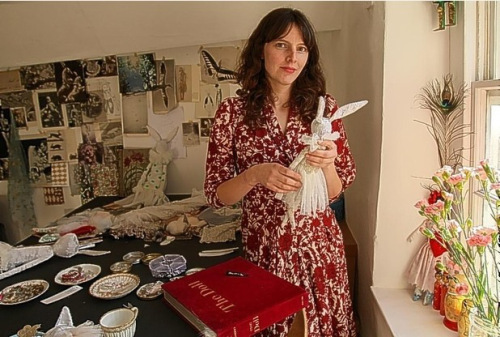 Growing up in Somerset with artist parents, Kate and James Lynch, Alice scoured fleamarkets with a magpie’s instinct for curiosities to inhabit her fairytale world. 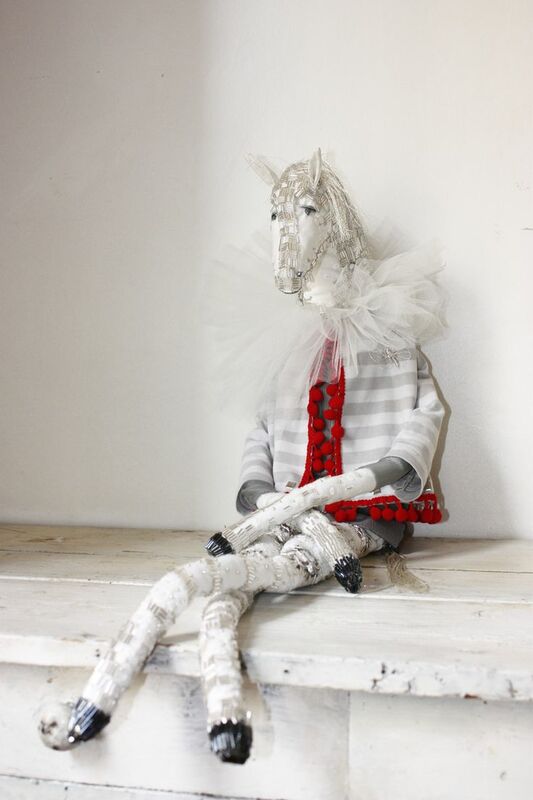 After nine years in Paris, Alice recently moved back to Somerset, where she now lives with her Japanese husband and their two small children. 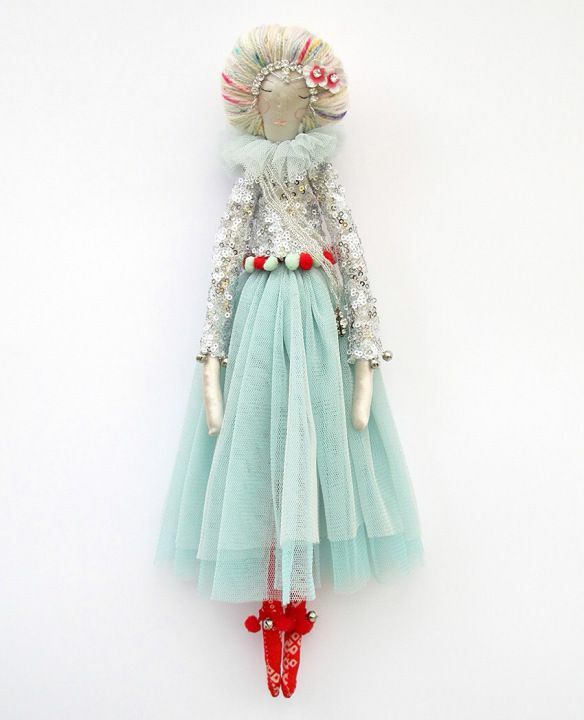 Each doll is armoured with glass beads, crystals and talismen, glittering little warriors who watch out for us in the real world. 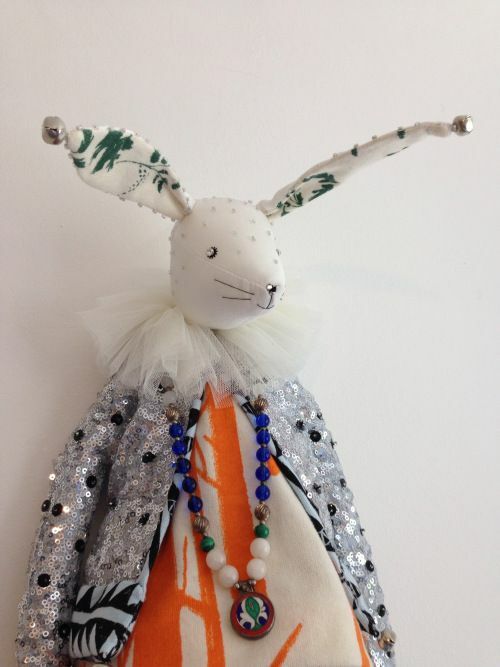 Hovering between the human and animal world, they tell stories of cabaret sparkle and the strangeness of nature. 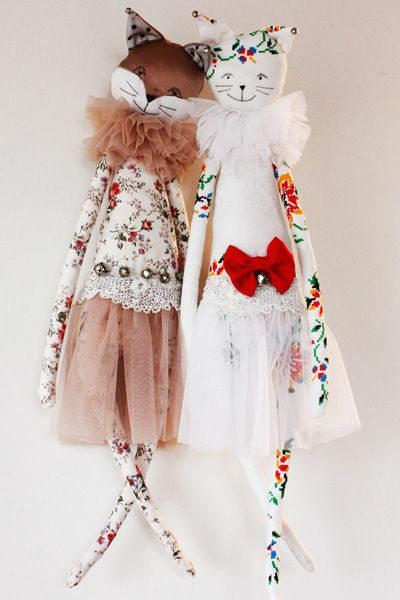 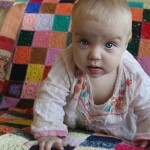 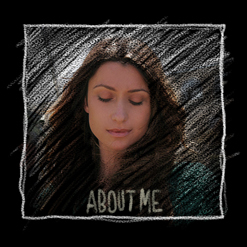 Alice has made masks and costumes for music videos and short films. 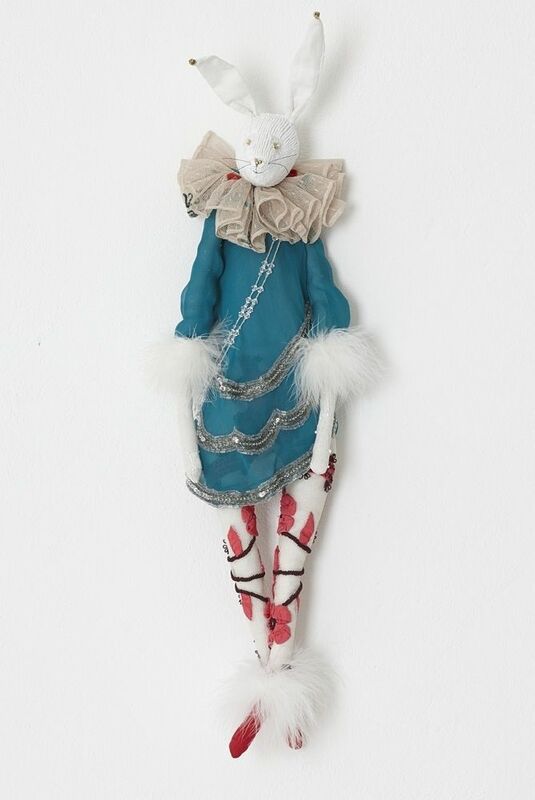 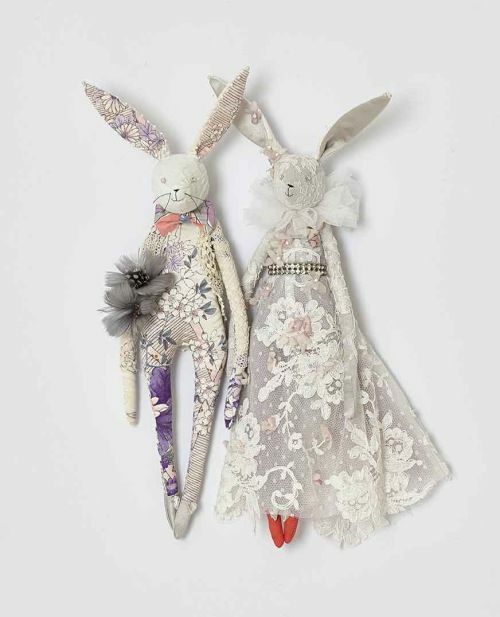 Her dolls have been commissioned by designers and private patrons throughout the world and exhibited in boutiques and galleries in Paris, London and Somerset. 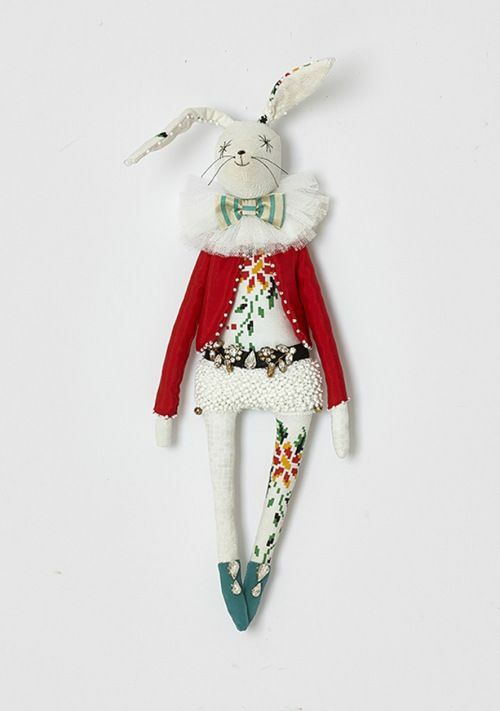 Recent clients inlude Alice Temperley, Anya Hindmarch, Victoria Beckham and Marwood London.